Configuration, Troubleshooting, How-to, Tips, Reviews, Opinions, Problems, Help and Support. Do you rely on a bunch of productivity software to help you manage your business? Are you worried that these software suites will cease to work if you switch to Windows 7? Well, don't worry. Windows 7 features a radical feature called Windows XP Mode that will allow you to run software developed for Windows XP right from your Windows 7 desktop. Windows 7 XP Mode also comes in handy if you happen to have an older device with a proprietary driver that hasnt been updated for Windows 7 If it worked great in Windows XP but doesnt work in Windows 7, dont throw it out; install it in Windows XP Mode. 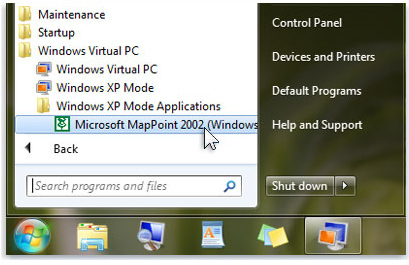 Is Windows XP Mode feature available on all versions of Windows 7? No, you cannot run Windows 7 XP mode if your PC has Windows 7 Starter, Home Basic, Home Premium installed in it. 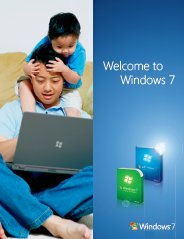 Only Windows 7 Professional, Windows 7 Enterprise, and Windows 7 Ultimate editions can run Windows XP mode and that too, after you have activated the Windows 7. How do I enable Windows XP Mode in Windows 7? Windows XP mode is not available out-of-the-box in Windows 7. It is an optional download for the Professional, Enterprise, and Ultimate editions of Windows 7 that consists of a licensed copy of Windows XP with Service Pack 3, saved in Virtual Machine Hard Drive Image (vhd) format. Windows XP Mode and Windows Virtual PC are available for free on the Microsoft website. To download Windows XP Mode and the required Windows Virtual PC software, click here to visit the Windows Virtual PC website to download it. Before you download and install Windows Virtual PC and Windows XP Mode, you need to make sure your computer meets both software and hardware requirements for running these programs. Windows 7 Professional, Enterprise, or Ultimate editions. A computer with hardware-assisted virtualization. That means the microprocessor has to support either Intel Virtualization Technology (Intel-VT) or AMD Virtualization (AMD-V). Virtualization Technology features turned on in your computer's basic input/output system (BIOS). How does Windows XP Mode work? Will it boot into Windows XP? No, Windows 7 XP mode will not boot up your PC in Windows XP. Instead, it will create a window on your Windows 7 desktop and run your older versions of business software suites through a virtual machine setup. 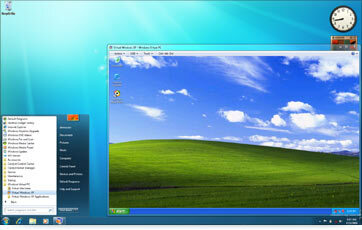 Windows XP Mode works in two waysboth as a virtual operating system and as a way to open programs within Windows 7. Windows XP Mode runs in a separate window on the Windows 7 desktop, much like a program, except it's a fully functional version of Windows XP. In Windows XP Mode, you can access your physical computer's CD/DVD drive, install programs, save files, and perform other tasks as if you were using a computer running Windows XP. When you install a program in Windows XP Mode, the program appears in both the Windows XP Mode list of programs and in the Windows 7 list of programs, so you can open the program directly from Windows 7. Can I run older games using Windows 7 XP mode as well? Unless you have insane amounts of system resources, like a quad core CPU and 3 gigabytes or more of system RAM, we would recommend running only business or productivity software through Windows 7 XP mode. Running a heavy graphical application like a game would be rather taxing on your CPU. Besides, would you be able to enjoy a game in the confined space of a window?